This is the time of year when many businesses start preparing for next year’s budgeting process. In doing so, they will be gathering information and data with key personnel from various departments to obtain forecasted revenues and associated costs. Among the techniques that could be employed in this process are such methods as incremental budgeting, zero-based budgeting, rolling forecasts, etc. At the same time, executives will be reviewing current year-to-date results and assessing performance metrics for their effectiveness in driving decision-making and meeting corporate goals. One analytical tool that I find helpful during this planning and budgeting process is benchmarking. Benchmarking can be used in concert with any of these methodologies, as well as be a part of other key performance indicators (KPIs) your company should be reviewing. Benchmarking is the process of comparing your organization to others, typically in the same industry (such as competitors), to gain a better understanding of your marketplace and identify possible product or service shortcomings. It can also be a way to compare your organization to innovative companies from different industries that have high-performing operations and processes you could learn from and possibly emulate. This kind of strategic benchmarking is also a great way to challenge your assumptions and approaches to “the way we’ve always done things.” When done correctly, benchmarking can be used as a tool to provide insight into best practices and continuous improvement throughout your organization. 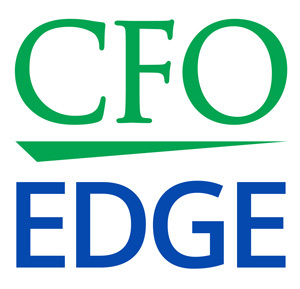 CFOs are increasingly facing demands to provide reliable analytical support to sales and operating managers. Therefore, the task of determining what to measure (or the benchmarks) and how to measure it (or benchmarking) typically resides in the finance department, which manages the benchmarking process along with assistance from various business units. Of course, there is also pressure in all organizations today to control costs and accomplish more with less. Therefore, finance teams usually are not averse to performing benchmarking activities in their own department and thus discovering better ways to provide information efficiently to produce best-in-class decision support. §Delays in making critical changes needed to address market shifts. §Inability to launch successful new products and services. The first step in doing a benchmark initiative is to define the subject, the processes that will be reviewed and the measurements that will be used. For example, these measurements might include product and service quality, levels of customer satisfaction, costs and turnaround time required for product and service delivery. Next, the initiative should be aligned with management’s goals and objectives for the organization. Benchmarking resources can be obtained from a variety of different sources. These include internal industry surveys, the American Productivity & Quality Center (APQC), the Benchmarking Exchange, and the Risk Management Association’s (RMA) Annual Statement Studies. §Identify gaps in company processes. §Improve operating results, efficiency and profitability. One analytical tool that’s helpful during the business planning and budgeting process is to engage in the process of comparing your organization to others to gain a better understanding of your marketplace and identify possible product or service shortcomings. Benchmarking is a great way to challenge your assumptions and approaches to “the way we’ve always done things.” An outsourced CFO services provider can help you implement a strategic initiative of this nature at your organization.